I probably should have ordered a pizza, thrown on pajamas and crawled into bed (and not necessarily in that order), but I needed some sort of happy ending to my crummy day and knew this easy fall dinner would do the trick. 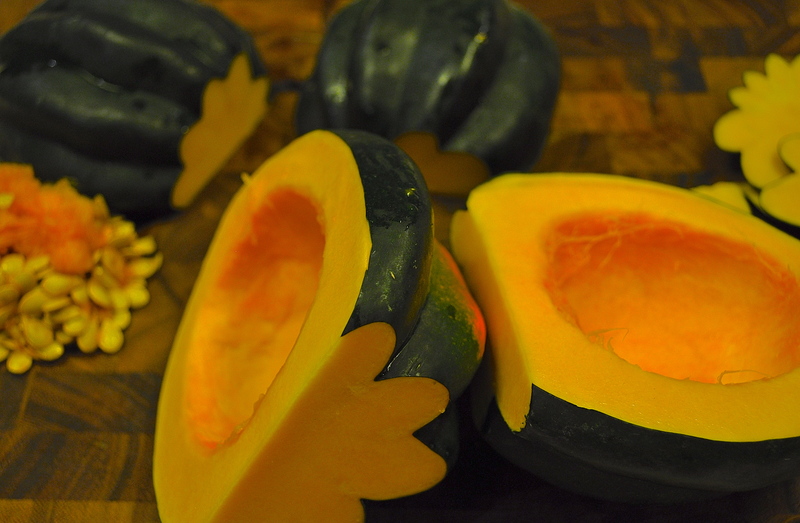 Divide and gut two acorn squash. But please watch your fingers. Seriously. 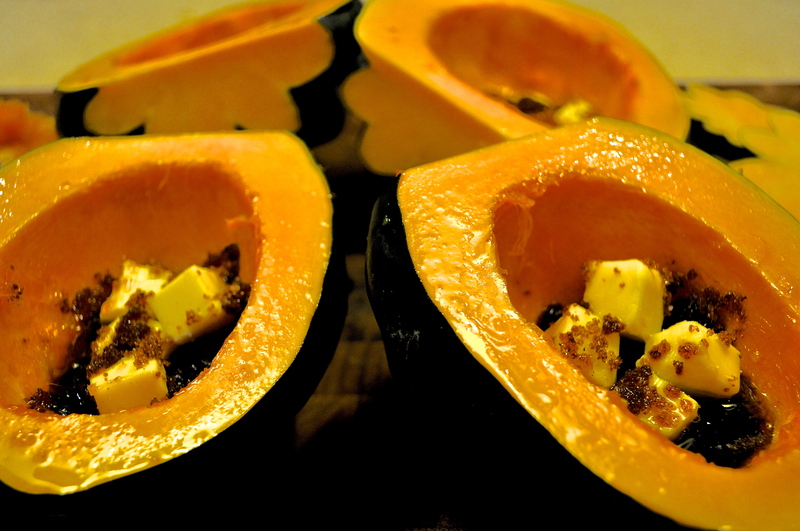 My children are still traumatized from witnessing my butternut squash cutting debacle several years ago. Rub flesh of each half with canola or olive oil. Add a tablespoon of maple syrup, butter and brown sugar to each half. Sprinkle with coarse salt and freshly ground pepper. Take one (five-ish pound) roasting chicken. Salt and pepper inside and out. Stuff with a head of garlic and a lemon, both divided in two. Add fresh herbs to the cavity if you have them. And next – the BEST trick (learned from a Martha Stewart magazine ages ago) – skip the roasting rack and slice a white or yellow onion into thick rings and place in the bottom of the pan. Roast the chicken for an hour and a half. Skin should be crispy, legs should wiggle easily, and juices from thigh should run clear. 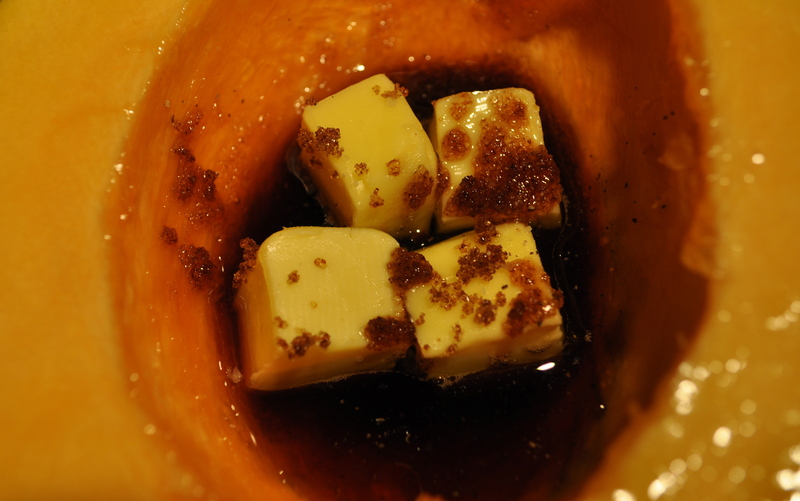 Roast the squash for an hour, or until a fork enters the flesh easily and the sugar, butter and syrup are bubbly. Greens simply dressed on the side. Or not. Minimal effort, maximum comfort. Don’t you feel better already?